Before run to Son La city, group has a morning drive through the Vietnam tea hills, off road on steppes; visit the best waterfall in Moc Chau, Dai Yem waterfall. Dai Yem Waterfall is a beautiful waterfall in Moc Chau, at the foot of waterfall you can see the iridescent silk silver, and it was made from cool streams flowing from the high mountains of Moc Chau plateau. The waterfall is about 35km from hotel. Lunch in Moc Chau enjoy the special dishes of the place: meat calves (baby), grilled fish streams. Afternoon depart for Son La, visiting hot springs resort near the Son La. Here you can relax, rest, bath with hot spring and dinner at the restaurant. Overnight in Son La city. Crossing streams and high mountains, we come to a history pass, The Pha Din Pass. 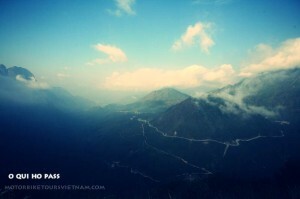 This pass is known in the last battle of the Vietnam – France War. A lot of people have shed one’s blood in here for the process of transporting food and weapons from the plain to the Dien Bien Phu battle. 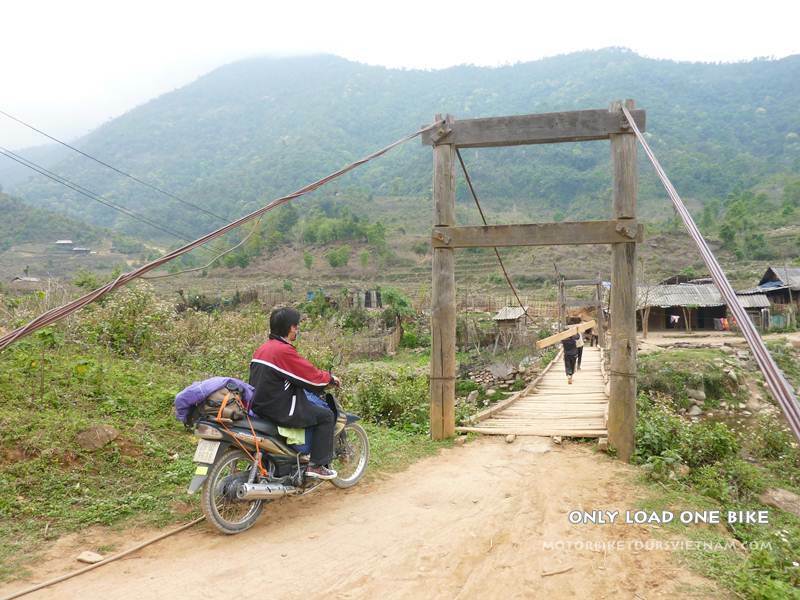 When you have crossed the pass also at you to Dien Bien province, spent the night here. 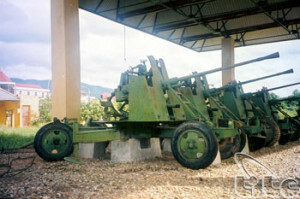 After breakfast, we ride to visit the Dien Bien Phu battle Museum, to find out why the French army lost the Viet Cong. You can also take pictures with a number of weapons on display in the museum. Afternoon continue to move to Lai Chau. Overnight in Lai Chau. 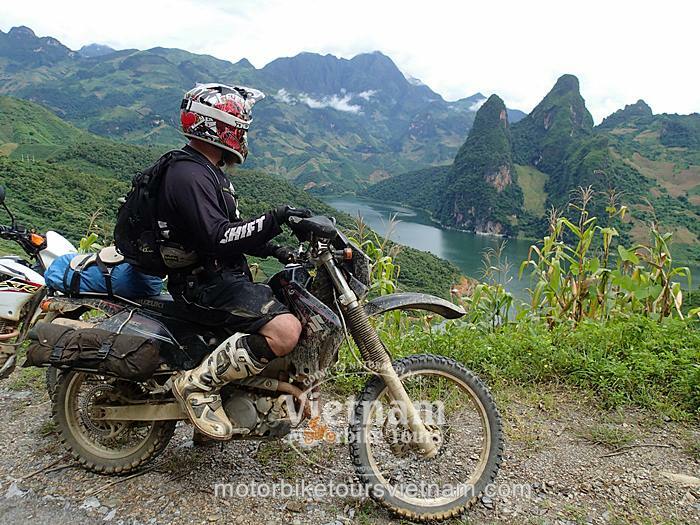 Lai Chau is one of the North West Frontier Province of Vietnam, north have border with Republic of China, the west and southwest borders of Dien Bien province, southeastern border province of Yen Bai , and Son La province. Lai Chau people includes: Mong, Tay, Muong, Pu Na, Xa, Hu Ni, Yao, Laos …; but the largest ethnic group are Thai people in two areas: The Thai white in the upper Black River, was much influenced by Chinese practices; Thai black in the lower black River, still preserve the unique customs of them, especially as Thai dancing. Leaving Dien Bien in the early morning. Group run along Highway 2, crossing the Da River, reaching the O Qui Ho Pass. Standing on top of the pass you can see the mountains with the zig-zag path on half-Pass. In the spring, you can see a sea of ​​clouds covering the valley. And then, the group will stop at Silver Waterfall, from here you can experience the stunning view of the surrounding mountains and the lush forest. Sin Ho in local language means place of many streams, Sin Ho plateau which is considered as the roof of Lai Chau province, with climates similar to Sapa (Lao Cai) cool year round and many varieties flowers, unique tropical fruit. Sin Ho is where have a multi-ethnic groups reside. At the weeken in Sin Ho market, you can admire a colorful picture of local fair of the mountains. discover all the colors of Sapa. 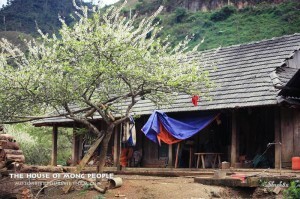 But we can visit two villages (Dao and Mong village, two maily thenic groups in Sapa). On the way to villages, you will see the terraced fields spread across the slopes. At night, you can enjoy Bathing with medicinal leaves of Dao people, relaxing after a long day of driving. Sapa: located in the northwest of the country, Sapa is a mountainous district of Lao Cai province, a land of modest, quietly but hides many wonders of the natural scene. Natural landscape of Sa Pa is associated with human creativity with the topography of mountains, green forests, such as paintings arranged in a harmonious layout creates a scenic areas attractive poetic identity. Drive along the Red River and down to the delta. 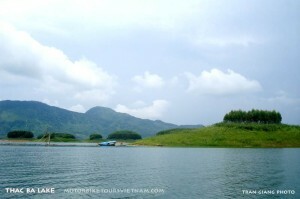 Croosing the winding mountains embrace the romantic river, we arrive the Bac Quang town, overnight in Bac Quang. 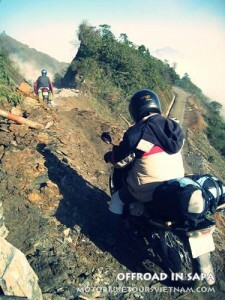 From Bac Quang, we will is going on dirt roads to get to Vu Linh village. Here you will stay in homestay view to Thac Ba lake, enjoy the fresh air of lake, a very interesting scene. 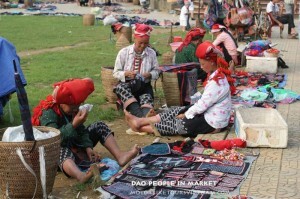 Overnight in Vu Linh, enjoy the tradditional dishes of the Dao people. Vu Linh commune is located on the shores of Thac Ba Lake. From here you can take the boat around the lake, look at the beautiful scenery here. Thac Ba was formed in 1970 when hydroelectric was built to prevent river. With an natural area of 23,400 ha and natural vegetation, biodiversity landscapes, clear blue water lakes and cave systems, temples and villages of ethnic minorities still retain many speacial culture original, made Thac Ba became an attractive destination. You can wake up a little late, eating breakfast and watching the activities of the local people. On the way you will see the vast rice fields. Come back to Hanoi around 17:00 pm. Farewell friends, the end of a long trip.